Standing around taking pictures at the 2011 World Championship Finals, the ladies of the Music City horn line posed for this shot. 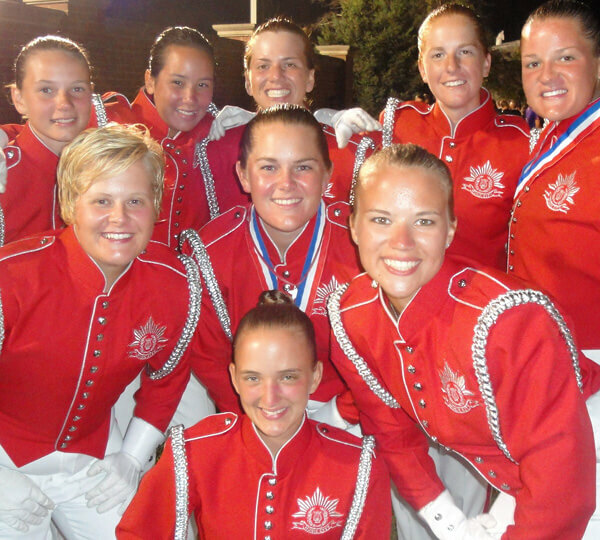 (From left to right) Row 1: Lauryn (Euphonium '11), Megan (Mellophone '11), Rachel (Euphonium '10-'11), Nicole (Trumpet '11), Allie (Mellophone '10-'11). Row 2: Dakota (Trumpet '11), Emily (Trumpet '09-'11), Moriah (Mellophone '11). Row 3: Amber (Mellophone '11).